Just in case you’re not familiar with WordPress, it is an open source content management system (CMS) that thousands of businesses worldwide use to build their websites. WordPress comes in two sizes: WordPress.com and WordPress.org. Both systems are free to use, but WordPress.org provides business owners with the ability to download the website software and install it onto their own website hosting service, providing the owner with expanded customization and actual ownership of the site. The power and freedom behind WordPress sites can often lead to the overuse of plugins (downloadable tools to enhance your website.) As business owners explore their new sites, or try to revamp an old one, it’s easy to end up downloading and testing out new plugin after plugin. Unfortunately, this can cause major headaches, as plugins can occasionally be out of date or incompatible with newer versions of WordPress. Outdated and incompatible plugins can lead to security or functionality issues. Because knowing which plugins to choose isn’t always easy, we’ve come up with a short list of essential WordPress plugins for your business website. Much like most other things in life, less is often more. Here are six plugins that should be all you need to help you build your web presence with WordPress. At TrustWorkz, we build all of our WordPress websites using the Genesis framework. This provides our websites with a builtin SEO tool, so that we do not need to download any SEO plugins. When we do bring on new customers that already have WordPress sites, we choose one of two SEO tools: All In One SEO or Yoast WordPress SEO. On paper, Yoast is generally the strongest SEO plugin for WordPress, but it tends to be a bit bulky and more advanced than most people need. If you feel like you know enough to be dangerous, then Yoast might not be the right SEO plugin for you just yet. All In One SEO could be the right plugin for you if you just want to cover a few of the basics. It’s known for being simple and easy to use. 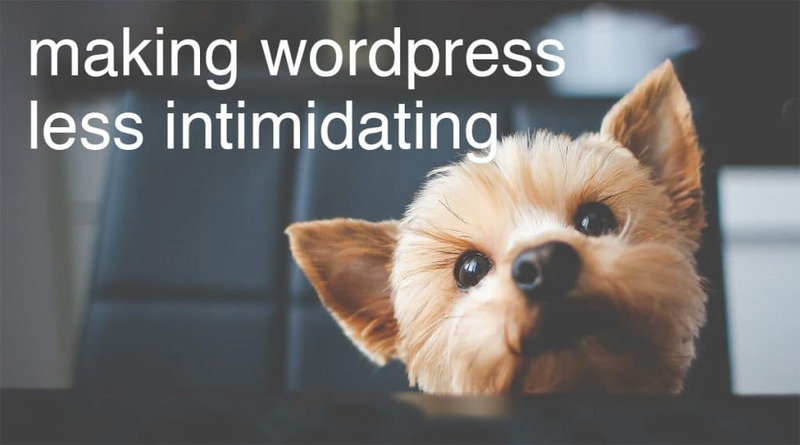 A security plugin for your WordPress site is very important! Content management systems are loved by millions because of how easy they are to update. Unfortunately, part of what makes it easy for site owners is also attractive to unwanted cyber attacks. We suggest that WordPress site owners use iThemes Security (formerly WP Better Security). iThemes Security makes securing your WordPress website as easy as just a few clicks. The plugin begins by highlighting all of your vulnerabilities, and provides you with typically one click solutions to fix the issues. If you think that a website is essential to your business, you need make sure that you protect it with a strong plugin like iThemes Security. It’s important that your customers can easily contact you from your website. Contact forms have become the preferred way by many users to reach out to businesses because they can send the business a message directly from the website. Whether you’re gathering information from customers or accepting employee resumes, a contact form system on your WordPress site will help you gather information and organize it as well. Unfortunately, many contact forms are overly complicated and even require coding knowledge. Gravity Forms, however, provides website owners with a fairly easy drag and drop interface so that you can easily create professional looking contact forms. If you do have a website developer, Gravity Forms can also be customized to fit other advanced needs that your web presence may require. Entertainment centers that use a variety of tools will love integrating Zapier with Gravity Forms to help automate their workflow. Popups on websites can be a great way to increase email subscribers or generate customer leads. The trick is to finding a popup that doesn’t annoy your customers, and one that is easy to use for your business. There are a few great services available, but the average family entertainment center will find that the most simple choice is generally the best. An easy to use and great performing popup WordPress plugin is Pippity. The Pippity tool is a less expensive popup option. 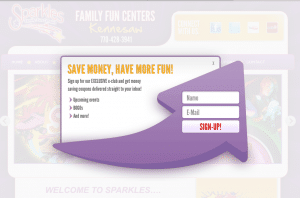 Family entertainment centers can use the popup plugin to attract new email signups or exclusive “e-clubs”. One of the most difficult plugins to find is a social media sharing tool. The biggest issue is not their scarcity, but their reliability and life cycle. Unfortunately, there are hundreds of social media plugins to choose from, and finding the right one can be a major pain. Over the past few years, there have been a handful of social media WordPress plugins that have continued to grow and improve. We suggest using the Shareaholic plugin. The tool integrates with All In One SEO and Yoast to help keep your customers reading content on your website, sharing buttons can easily be modified to fit your needs, and the dashboard is clean and straightforward. When it comes to adding plugins for your WordPress site, remember to keep it simple. Plugins should help improve your workflow and customer experience. Find the ones that fit your needs and business goals so that you’re making the most out of your web presence.